.it Italian Trade is the quintessential “Made in Italy” magazine featuring the latest in Italian fashion, design, culinary traditions, technology, and commercial trends affecting trade between the United States and Italy. 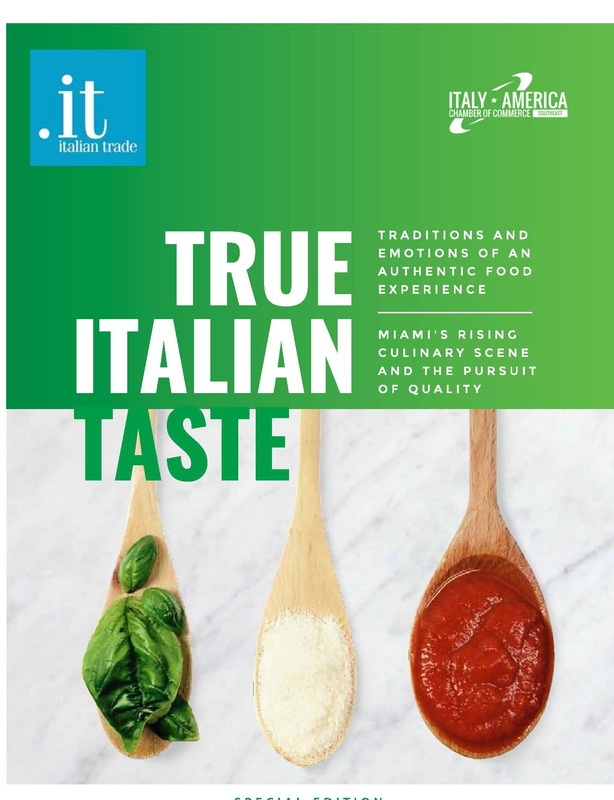 This .it magazine special edition has been launched on the occasion of “The Authentic Italian Table“, an event organized on April 25 2018 by the IACC to celebrate the best of Italian food & wine in South Florida. This year edition features interviews with hospitality industry leaders and lists some of the most authentic Italian restaurants in Miami. 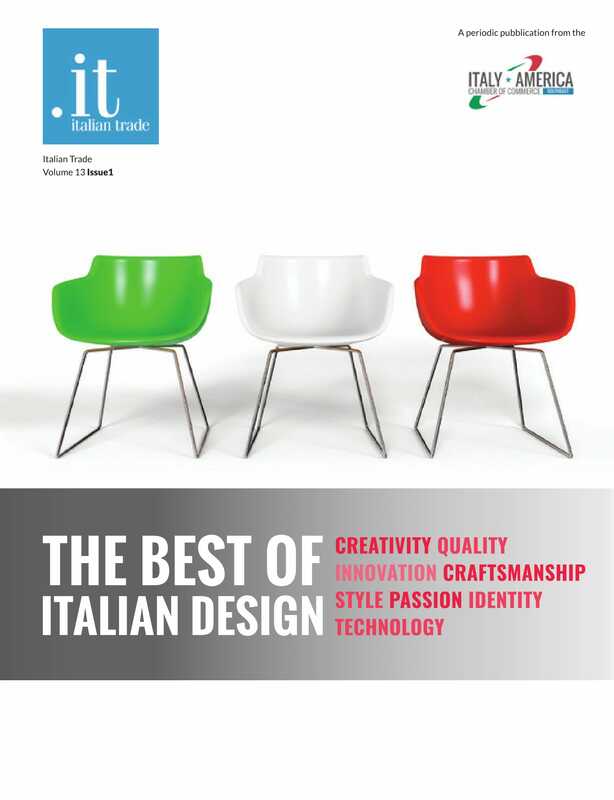 This .it magazine special edition has been launched on the occasion of “The Best of Italian Design“, an event organized by the IACC to showcase some of the most important Made in Italy brands to an audience of more than 100 American architects and interior designers. 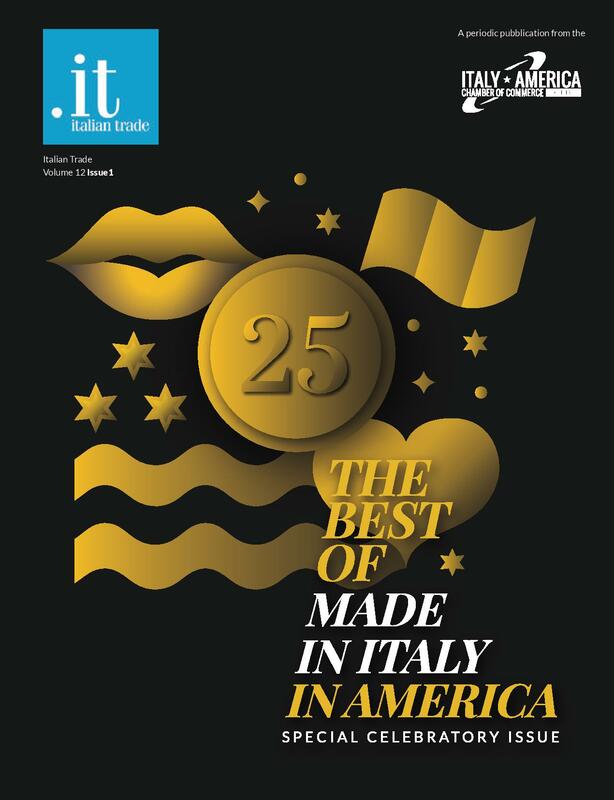 “The Best of Made in Italy in America” is a 120 pages’ magazine celebrating the best of Italian style and creativity, and its influence over the American lifestyle, featuring interviews with protagonists of economy, culture, and politics. This .it special edition has been launched on the occasion of “The Best of Italy Gala Night“, the amazing event organized by the IACC to celebrate its 25th anniversary that took place on Saturday, October 22nd, 2016. The Magazine is in English and Italian. 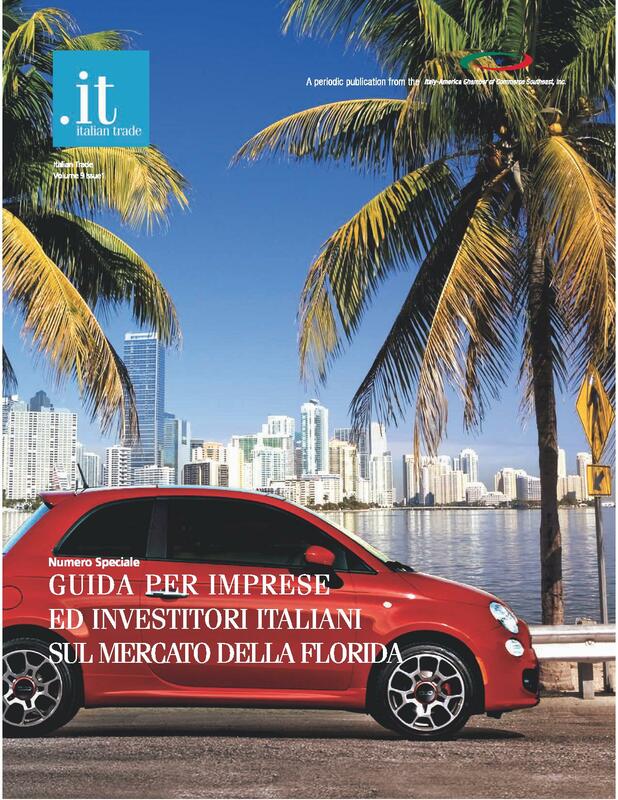 Currently Italians held the 8th position among international investors in properties in South Florida. This growing trend has pushed the Italy-America Chamber of Commerce to offer an exhaustive guide about all the factors related to the purchasing or the renting of a residential or commercial property. 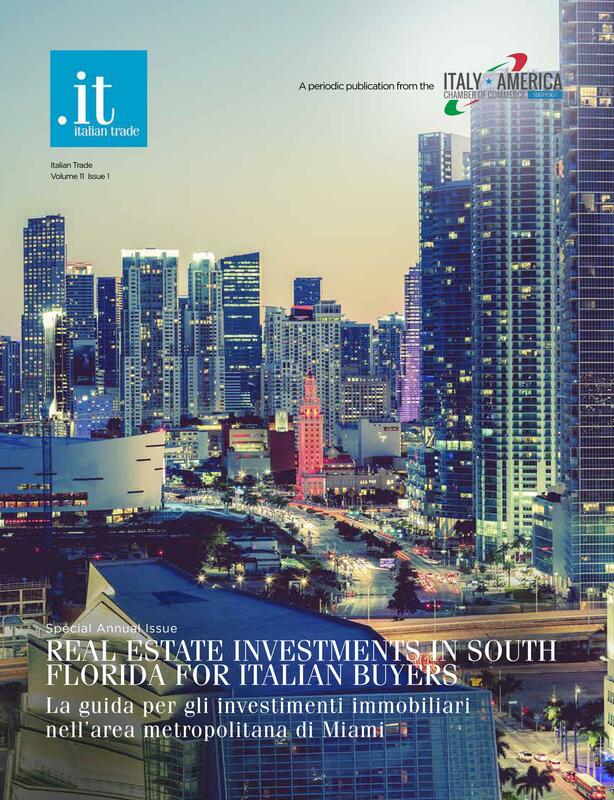 Through the help of its network of experts, the Chamber makes available all the essential information for any Italian investor or entrepreneur in this publication: Real Estate Investments in South Florida for Italian Buyers. 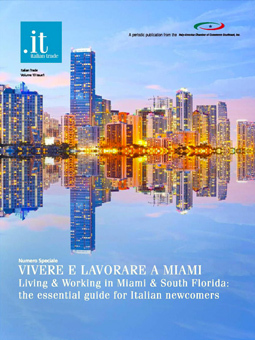 “Living & Working in Miami and South Florida“, a 72 pages guide targeting Italian newcomers in the US. The Italians currently living in South Florida are already one of the biggest and most active European communities. The number of expatriates is growing substantially since hundreds of Italians entrepreneurs, researchers, young professionals and students are moving to the Sunshine State every year. The Chamber, through the help of its network of experts, makes available all the essential information for any Italian newcomers in this publication. “Guida agli investimenti in Florida”, a 60 pages guide targeting Italian entrepreneurs and investors interested in exploring business opportunities in the thriving Florida market. Every year, the IACC receives hundreds of information requests from Italian entrepreneurs on legal and fiscal issues as well as on potential service providers in Florida (i.e. Realtors, Lawyers, Accountants, Insurance Brokers, Freight Forwarders, Translators, etc). Now the Chamber, through the help of its network of experts, makes available all the essential information for investors in this publication.